I was asked to mosaic a one ofa kind dog kennel design for a wonderful charity project called ‘BowWow haus’ raising vital fundsneeded for the £2million refurbishment of the Blue Cross Rehoming Centre and American not for profit Outdoors Foundation and Drew Gardner. The project has a network of architects, artists and designers whom have created bespoke dog kennels to be displayed throughout London from March 2018 for the first ever public exhibit and auction of artistic dog kennels in Britain. 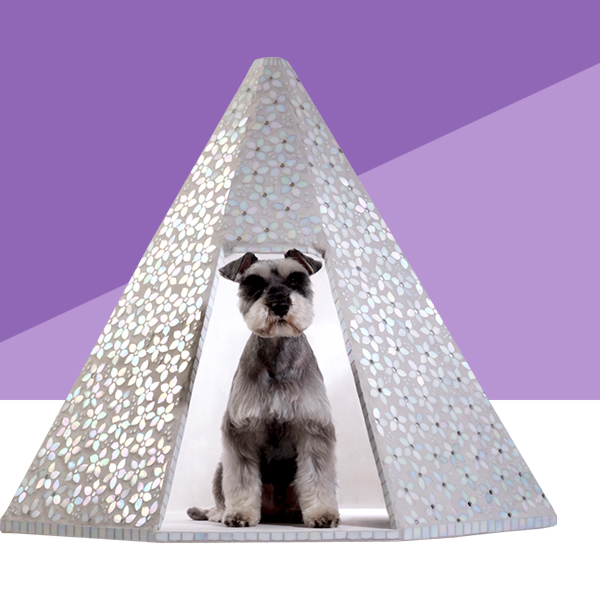 My mosaic kennel is inspired by the tepee shape, designed with more space for the pooch to turn around in and get comfy. New beginnings are represented by spring blossom with iridescent tile petals of over 540 flowers with mirror centres and peaceful light grey grout background. My dog house is a pretty tepee covered in spring blossom that looks like it has fallen from a tree. 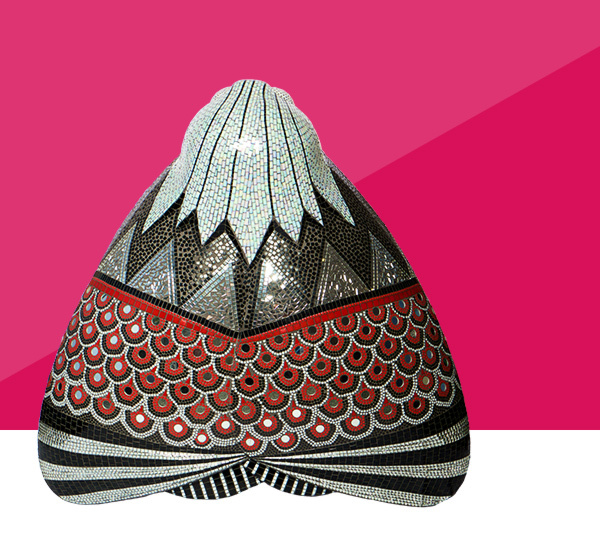 This project took almost a month, as cutting over 2,500 petals took lots of patience! 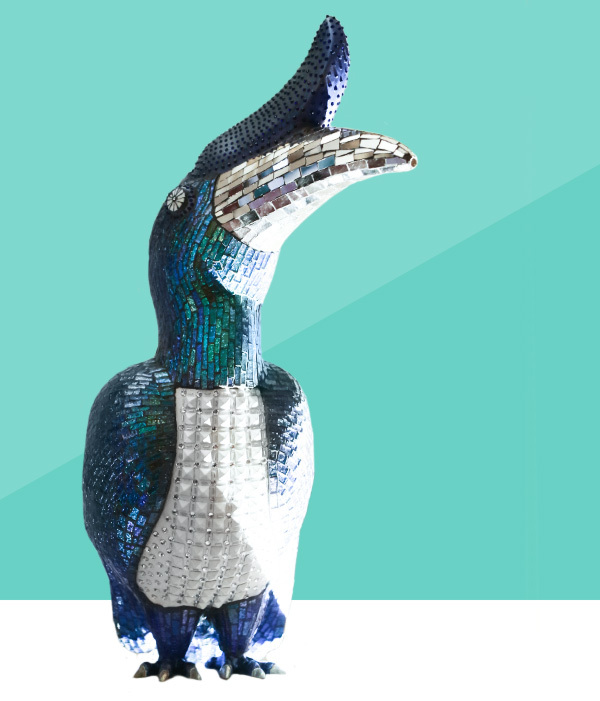 I am proud to be part of this wonderful project of 80 one off designs , being displayed throughout London including St Pancras and available to buy at a charity gala auction in London on April 26 or via online bids. 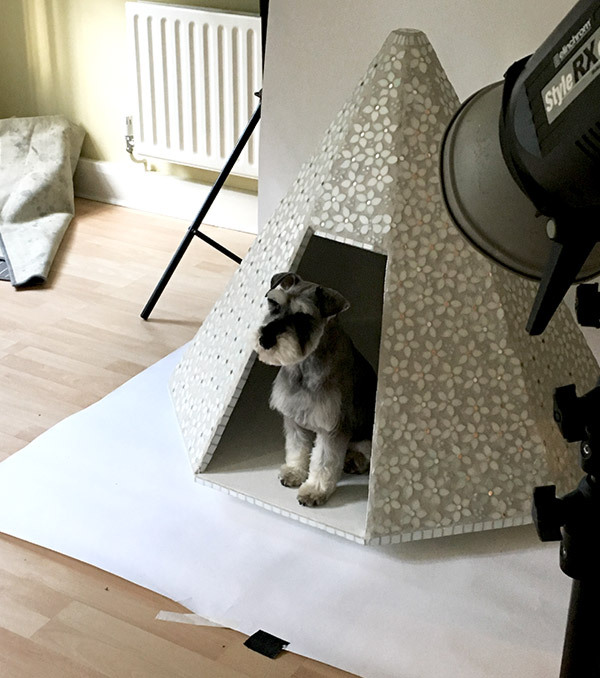 The beautiful photo was taken by the photographer Drew Gardener with Pepper the schnauzer in my mosaic kennel.